Should we not take seriously the feelings of mature women who feel at best disappointed, and at worst betrayed by their "Dads" who supported -- voted for -- the man these daughters feel stands for everything vile, wrong and disgusting when it comes to women and minorities? Given the limited number of years he has left, I would like to think my father would open the conversation up about LGBT issues, and become as involved in our community as he is with the Irish one. While I'm on record as saying "it gets better" as your kids grow up, it also gets more complicated to parent them and to know if you are making the correct-est decisions yourself. Humorist, feature writer, fitness addict, malapert. My father's eyes are starting to flicker and soon he's breathing deeply again. The gurgle is from a lifetime of nicotine, the damage becoming obvious as he rounds the bend toward 90 years of age. He's asleep once more and I can only hope he's waltzing with Julie, or Audrey, or perhaps my mother. Memorizing "Rosalita" happened over time: first a few trips, then a few days, then weeks, then years, all riding passenger side by my dad as he drove me from lacrosse games to choir practices, teaching me most everything I needed to know about the ups and downs of life through disc after disc of rock and roll. Our Last First Day: How Can My Baby Be A High School Senior? This isn't the essay about dropping off my daughter at college. This is the essay about dreading the essay about dropping off my daughter at college. We hugged hard, seemingly too hard for her little ribs, but as I began to let up she squeezed even harder. It was painful, but because the separation was usually just a few days, bearable. She sat back down on the couch. My 24-year-old daughter and a friend are somewhere along the Blue Ridge Parkway, perhaps at a campground in Great Smokey National Park. I envision the two young Sarah Lawrence film school graduates barricaded behind the Subaru wagon they bought for their road trip, pepper spray and tasers at the ready. He may not be able to open up a card or present from me, so my gift to him is to use what he gave me. Each time I do, I feel like I am honoring his spirit, what he taught me, how he raised me, and how he lived. With practice, we can honor the role of tough times in our lives and let the negative emotions go. Each stepping stone along the way, including the sharpest, most painful ones, shape us in positive ways if we stay open to learning the lessons. Fathers are about to have their Day! 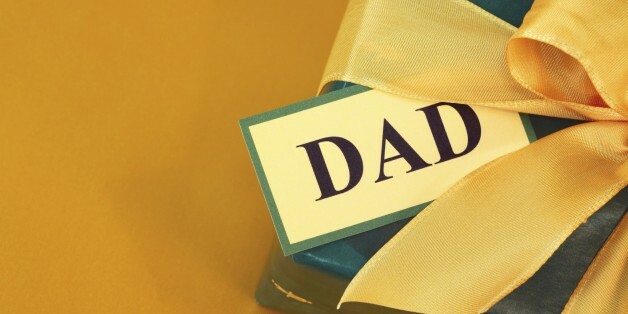 It's honestly a non-celebratory day for a lot of dads because a lot of men I've found have only one wish on Father's Day -- to be left alone. A Father's Day Post: A Father Forgets! I help leaders maximize their influence. You see, my love, our kids are who they are because they have you as a father. A father who always hugs them, who makes them feel loved. A father who plays with them for hours and loves it, even when you're playing the most boring game. The anticipation of Father's Day has become a dreadful kaleidoscope of carnival mirrors, disfiguring a warm June that once felt welcoming, instead of an excuse for a picnic or a card to sign. These clothes held a special meaning, they've traveled with him from when he was my age until now. Out of all of the clothes that I borrowed, there's one item that I managed to hold onto - his old denim jacket. I left home with that jacket and moved across the country. Who would have thought, so much could be taken away from an old tattered denim jacket? Writer, traveler, and lover of all things peanut butter. The teenager's comment replayed in my head throughout my adolescence. Before, I hadn't even given it a second thought that my skin color was different than that of my father's. Political Activist, Social Change Media Maker, Prepper and Mom. I am not a big "Hallmark Card Holiday" kinda gal, but Mother's Day is that one day out of the year, where we truly do want to be recognized for our efforts, hard work and sacrifices made. Especially single moms who do the work for two. My 94-year-old dad, Nick, discusses nearly a hundred years of presidential history over the course of his lifetime, and this year's election. Oh, and the "shapely" girls of Fox News' Outnumbered. I remember a summer morning at a playground, when, for the first time, you ran toward the slide and didn't look back. I remember wishing you needed me, and sadly-gladly knowing it was good you didn't.